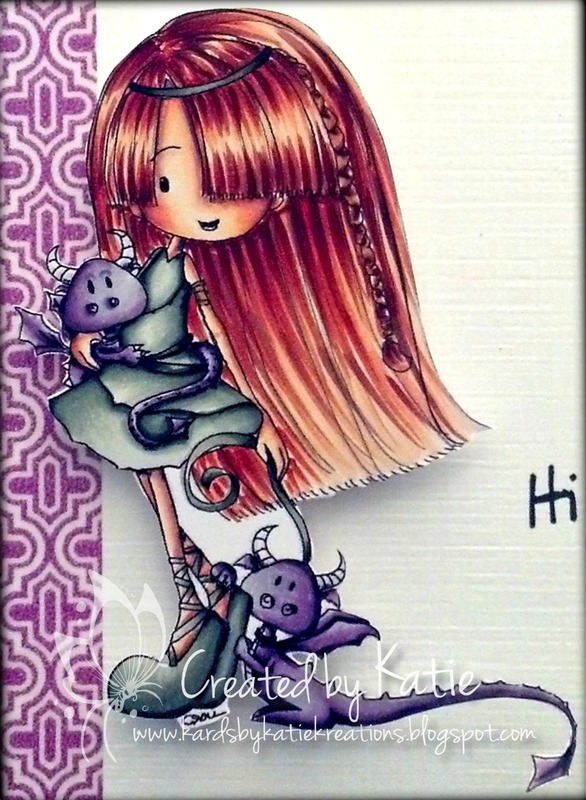 Kards by Katie Kreations: Hi There! Adorable card Katie!! Love her hair!!! You colored her beautiful!!! Came to your blog for the blog hop, but I saw this card and have to say that it is AWESOME! I love the use of white space on your card. It really lets the image itself get all the attention. very very cute, thanks for sharing! Fabulous coloring... really! I like the CAS design too but wowsa, I keep looking at her hair. 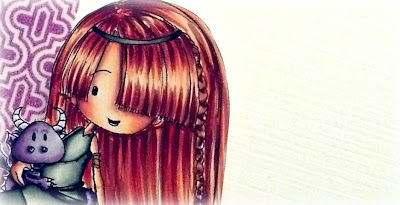 Loooooove your fab coloring...and all that fussy cutting! Love how you used the washi too!! Nobody colour like you sweetie. This was simply wonderful my friend. LOve the shine in her hair and the purple dragons. Don't know how I missed this! 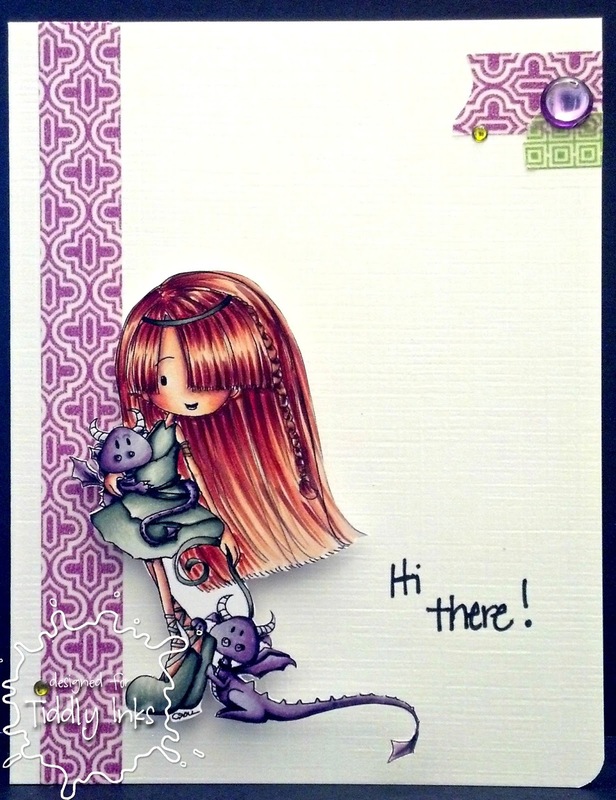 I have to say that little purple dragon is too flippin' cute!! And of course the whole thing is cute too! Love it!